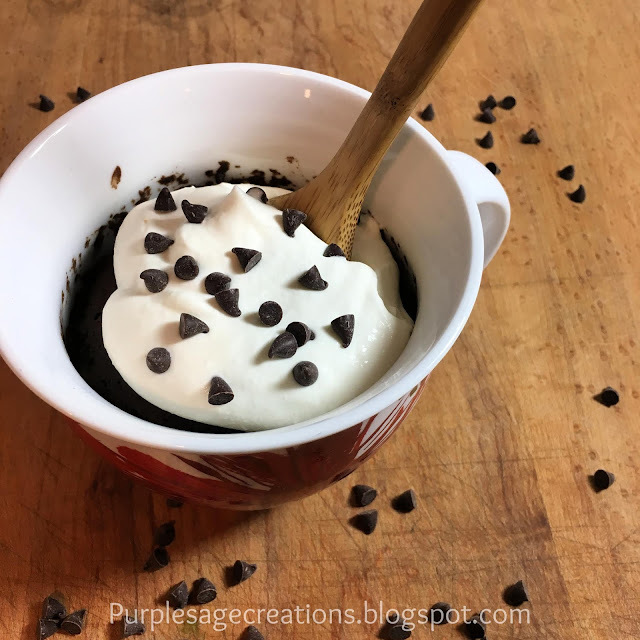 This warm, chocolaty dessert is so easy to make. 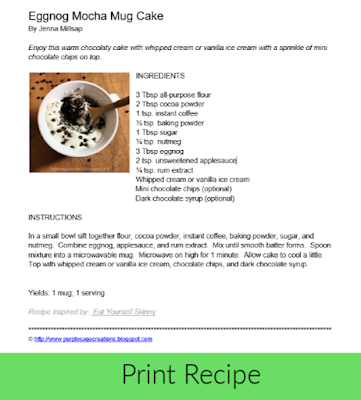 Get your mocha fix in cake for in under 5 minutes. 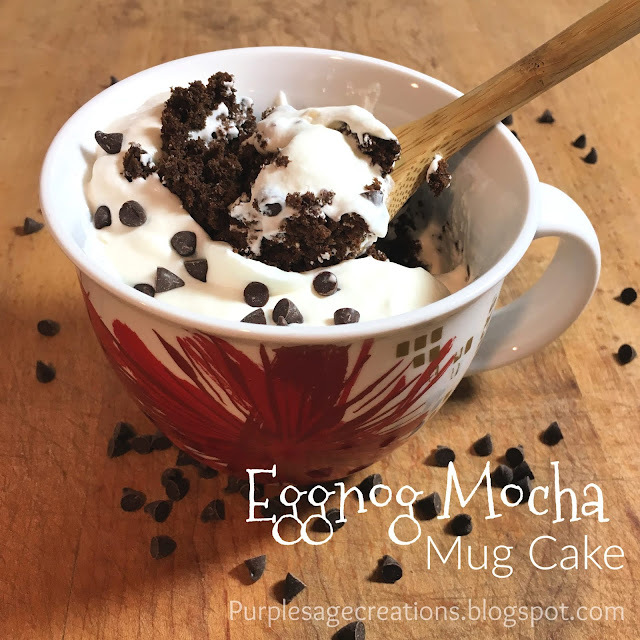 Plus the eggnog, nutmeg, and rum extract give this mocha cake a seasonal feel. Whip one up while you watch your favorite holiday movie on a snowy evening. It's a delectable treat just for one. Mix your ingredients, place in a microwavable mug, and microwave for just a minute. Serve warm or cool. I like it with whipped cream or vanilla ice cream on top. Then I add a sprinkle of chocolate chips and dark chocolate syrup on top. 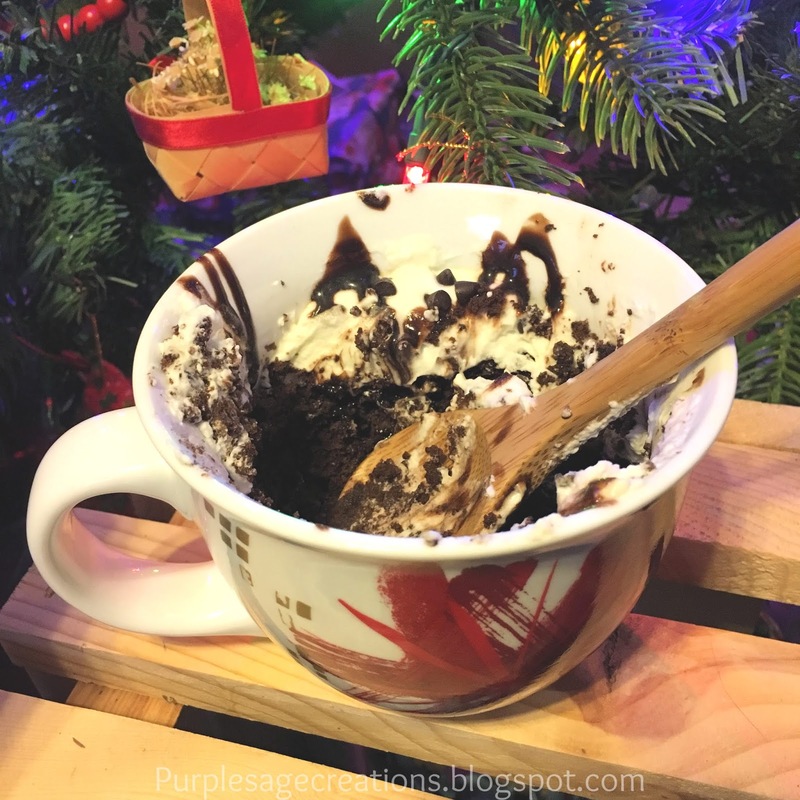 Seriously this cake is heaven in a mug! So smooth and chocolaty with a hint of coffee and eggnog.